July 15 | Hot Chicken and Waffles Co. Officially Opens in Westminster - Free Chicken Giveaway - EAT WITH HOP! A new Chicken and Waffle spot is opening in Westminster! And it's called Hot Chicks Waffle and Co. opening right in the same plaza as Bloomz Tea! Conveniently, here is a photo of their menu! I love the relevant side chick and bae puns here haha. 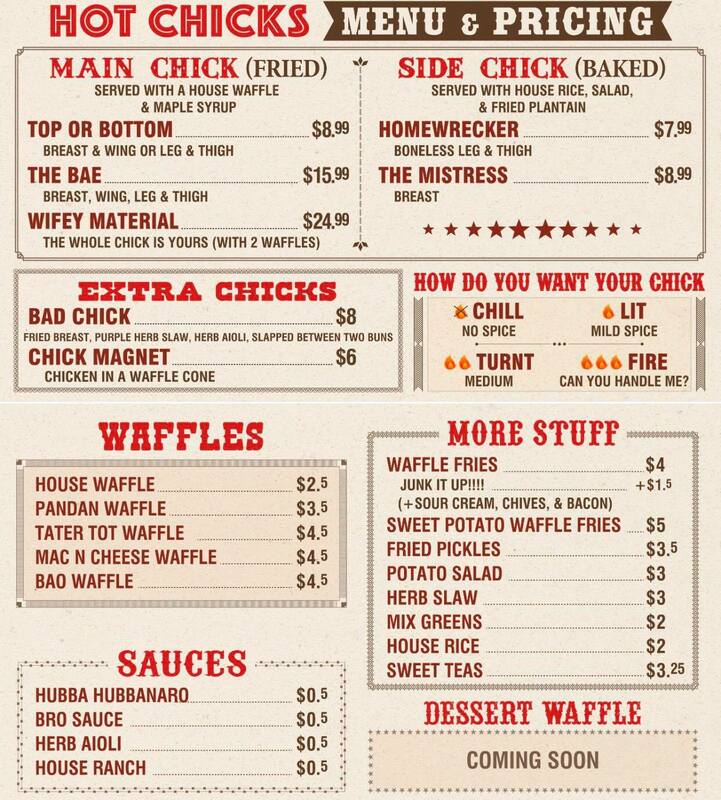 Hot Chicks Waffle and Co.